Berlin, 28.11.2017 – OERcamp. Das Foto steht unter der Lizenz CC BY 4.0. Als Urheber soll Tilman Vogler für OERde17 genannt werden. 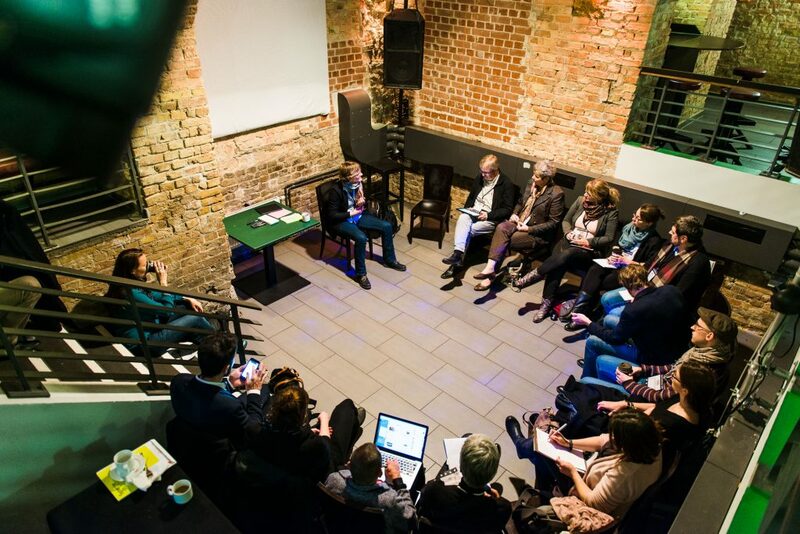 The OERcamps in Germany started in 2012 and have since taken place 9 times in several cities across the country, each gathering between 80 and 300 participants from all sectors and all fields of education. OERcamps open up new and contemporary formats for learning based on openness, sharing, personal meaning, participation and equality. They are the appropriate format of education for a time in which we are depending on not only transferring fixed knowledge but also co-creating new knowledge. OERcamps are about sharing, discussing, negotiating solutions for a world in change. OERcamps are also the source of collective development and use of OER. Sessions are documented using collaborative text documents, blogging, podcasts etc. which are mostly shared under a CC BY licence. Hundreds of documents have been created since the beginning and innumerable OER activities were born, initiated, promoted, catalysed and pursued. OERcamps provide a radical “Open to all” approach by lowering the barriers to attend by removing participation fees and any formal requirements, fostering cross sectoral collaboration, encouraging volunteering and peer to peer support for participants. They provide a base and a hub for the flourishing German OER community. This text by Jöran Muuß-Merholz is licenced under a CC BY 4.0.